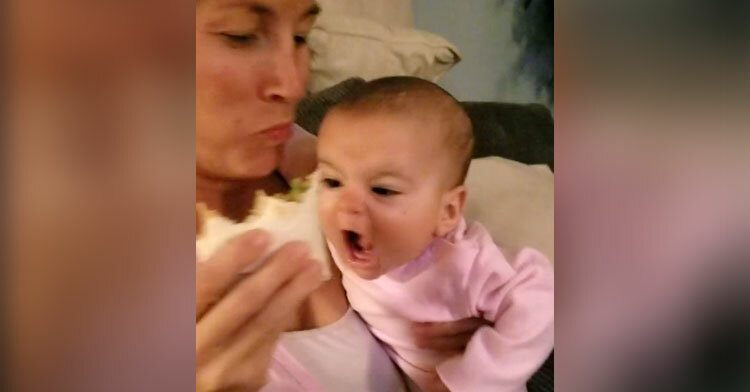 Dad Films Baby’s Hilarious Attempts To Steal Mom’s Sandwich In Home Video. Mothers of infants can attest that finding a moment to grab a bite to eat is often impossible. 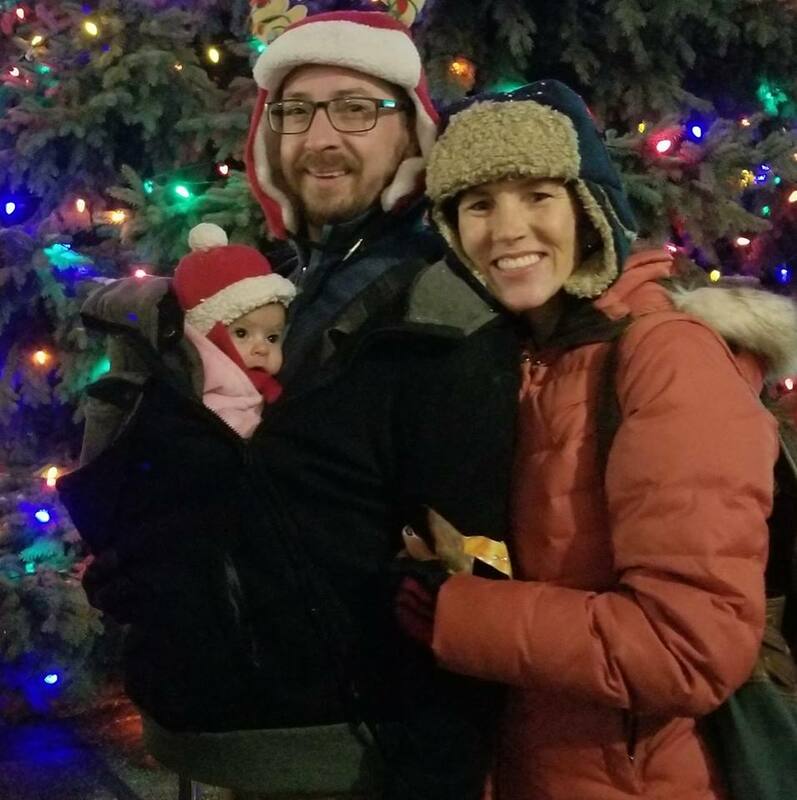 Babies require a lot of care, and half the time we’re too busy with their needs (not to mention being exhausted ourselves!) to squeeze in a meal. Raina Kessel can no doubt sympathize. In a video that’s taking off online, Raina holds her adorable baby daughter Riva Rose and attempts to eat. The result is downright hysterical. 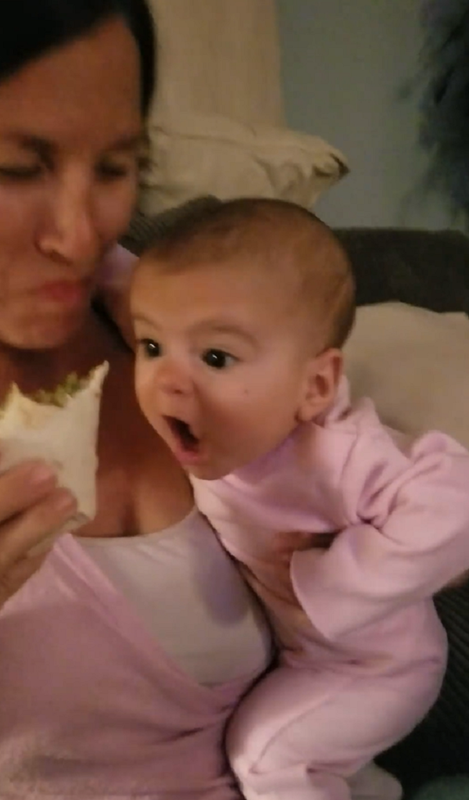 In the video, Raina is holding her sweet bundle of joy in one arm and attempting to take a bite out of her lunch with the other hand. The second Riva spots the food going into mom’s mouth her eyes light up! She immediately starts angling for a bite of that delicious wrap. Launching her little body towards the sandwich, Riva keeps her bright eyes on the prize. 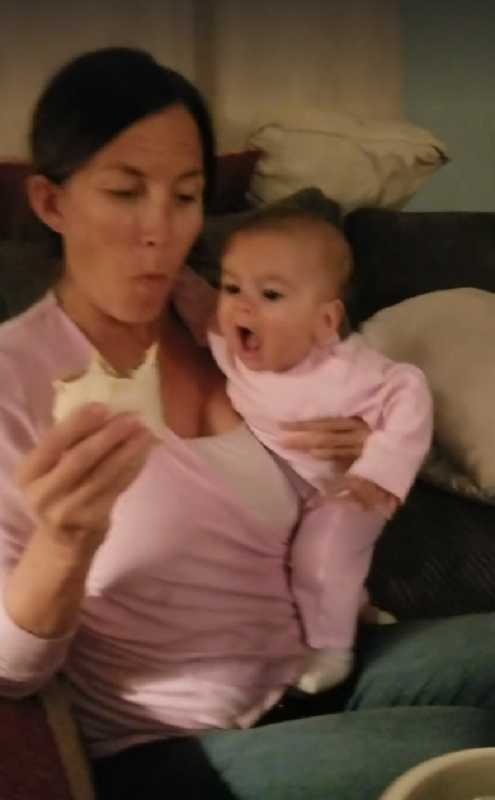 Every time Raina brings the sandwich to her lips the baby vaults forward with her mouth open wide, making that distinct side-to-side rooting action that signals feeding time in babies. She’s really going for it! We’re fairly certain that Riva doesn’t have any real teeth yet, so all she’d accomplish if she got her mouth on that sandwich is to gum it like mad. 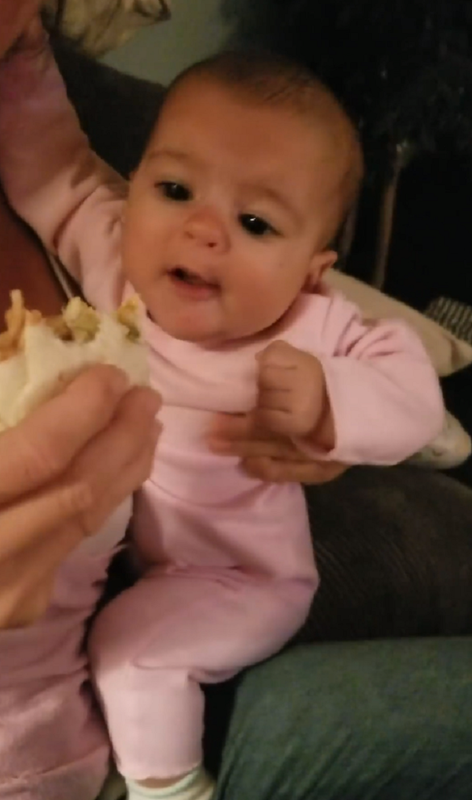 That’s not stopping this hungry little nugget though — she’s tenacious! This baby is just too cute for words! We love that she’s not letting a minor issue like having no chompers keep her from dreaming about solid food. Dream big, kiddo! Watch Riva going after her mom’s lunch in the video below, and don’t forget to share!